Fujifilm compact system cameras (CSCs) are ideal for those looking to get high-quality results without carrying the weight of a DSLR. Offering the same level of features as a DSLR, but much smaller and lighter, a CSC doesn’t use the same reflex mirror as found in DSLRs – this allows the design to be compact and lightweight, making a CSC ideal for photographers who love to travel and shoot on the go. All Fujifilm CSCs feature APS-C sized sensors for impressive performance – even in low-light conditions – giving crystal clear, vibrant images every time. With a huge range of FUJINON lenses to choose from too, your picture-taking possibilities are endless. 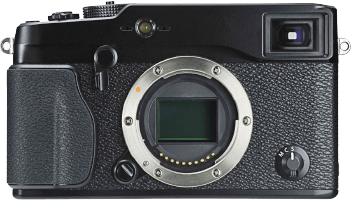 The original Fujifilm compact system camera (CSC), the X-Pro1 sits at the top of the X-series line-up and will appeal to discerning photographers after the ultimate image quaility. 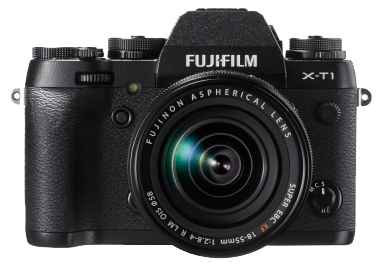 The camera’s APS-C sized 16.3-megapixel sensor benefits from Fujifilm’s unique X-Trans technology to deliver vibrant, detailed images, plus the X-Pro1 is compatible with all of the high quality XF and XC series lenses. The camera’s hybrid viewfinder offers a choice of viewing options and provides detailed shooting information, plus there are also full manual controls to help users take control of their images, ISO sensitivity up to 25,600 and Full HD video capability. All this wrapped in a body style that is both understated and stunning in equal measure. With compact dimensions, light weight and high image quality, it’s no surprise that the X-E2 is popular for travel photographers, or anyone else who wants a lighter life! The camera itself features the world’s fastest autofocus system that zips into focus in just 0.08sec, made possible by phase-detection pixels integrated into the APS-C sized X-Trans II sensor. Further creativity comes from the unique Film Simulation modes, which mimic Fujifilm’s popular films, a multiple exposure mode, auto bracketing and Wi-Fi connectivity for instant image sharing to a smartphone or tablet. The design is stunning, too, with traditional dials controlling key functions and a small handgrip providing assured handling. 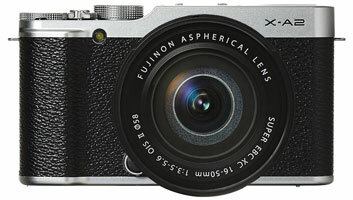 The Fujifilm X-A2 is the first X Series compact system camera to feature a brand new high definition, 175° tilting selfie screen. 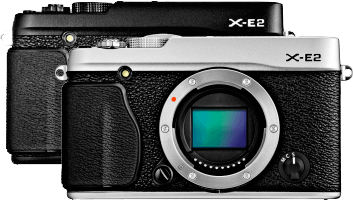 Powerful yet compact, the X-A2 demonstrates stunning image quality comparable to that of a DSLR . The large 16.3 megapixel APS-C sensor and EXR Processor II image processor delivers vibrant, sharp images, plus the X-A2 is compatible with all of the high quality XF and XC series lenses. Capture every memorable moment in exquisite clarity and transfer images effortlessly to your phone or tablet using the one-touch Wi-Fi transfer Fujifilm camera app. Perfect for uploading straight to social networking to share with friends and family! The X-A2 also allows you to show off your creative flare using the 8 Advanced art filters and 6 film simulation modes. 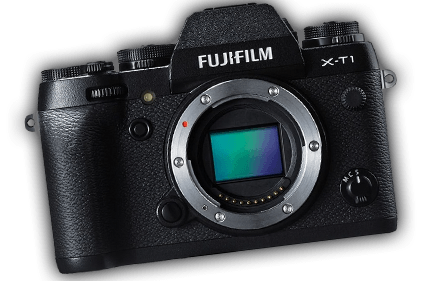 With its unique multi-function electronic viewfinder and super-fast autofocus performance, the X-T1 is sure to appeal to current digital SLR owners looking for a lighter kit, or those looking to take their photography more seriously. The body features 80 points of weather sealing, so users don’t have to stop shooting in wet, dusty or freezing conditions, while the layout – where dials and switches are used to change many key functions – provide speedy operation without have to scroll through lots of menus as on many other cameras. Picture quality is assured thanks to the APS-C sized 16.3-megapixel X-Trans II sensor, plus the camera’s built-in Wi-Fi functionality makes it easy to share images via a smartphone or tablet. All of the models* in Fujifilm’s compact system camera range sport unique X-Trans sensor technology, which has been developed as a result of Fujifilm’s heritage of producing film. The design of an X-Trans sensor is different to all others in that the pixel arrangement is more random. Whereas conventional sensors use pixels in groups of four, an X-Trans sensor features pixels in groups of 36. This has two advantages. It delivers more accurate colours and negates the need for a quality-sapping optical low pass filter to be positioned in front of the sensor, which means better image sharpness. Couple this technology with the specifically- designed XF and XC lenses and X-series cameras deliver an unbeatable combination of high quality, stunningly detailed images. Fujifilm produce a range of high quality FUJINON lenses that are specifically designed to deliver optimum results with X-series compact system cameras. Regardless of your shooting style, there’s a lens to suit your needs.